Your software’s database file is crucial for us to simulate and troubleshoot your software’s errors and we will appreciate it if you can attach the database file in your email to us. 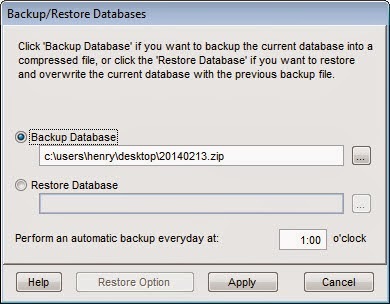 The following steps detail on how to backup your database from TCMS V2 and Ingress that will allow us to simulate the errors in your database file and assist you in solving them. 1. 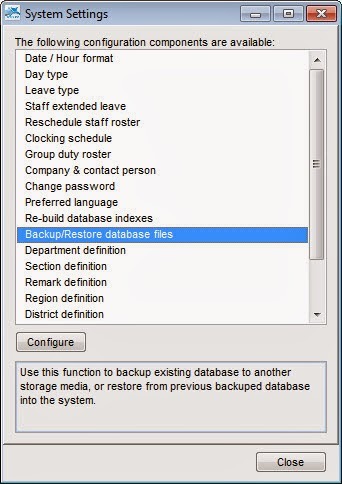 Select System Settings > Backup/Restore database files. 2. Select Backup Database > select the folder to save your file > Apply. 3. Send us the ZIP file. However, if your software is corrupted and you are unable to access it to backup your database, you can send the entire TCMS V2 folder over to us. 1. Go to Program Files > FingerTec Worldwide folder > TCMSv2 folder. 2. Compress the folder to a WINZIP or WINRAR format. 3. Send us the file. 1. Select System Settings > Database Management. 2. 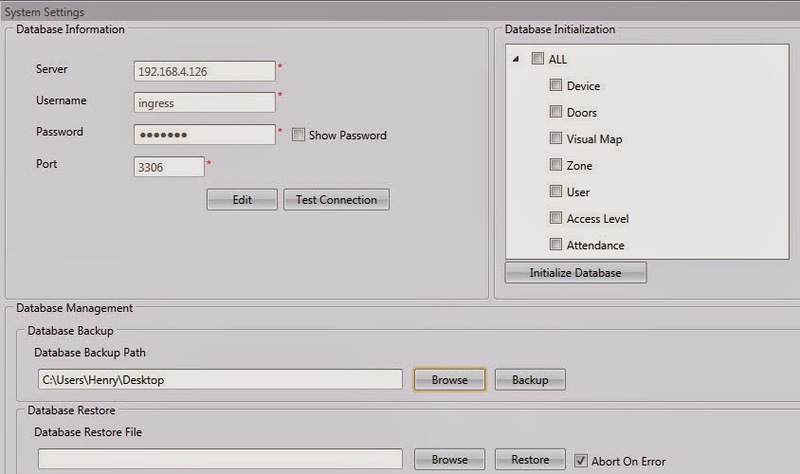 Click Browse under Database Backup Path to save the database file. 3. Wait for the progress to complete. 4. Send us the SQL file. Sometimes, the database file is too large to send via email. As an alternative, you can upload the file to a cloud storage service, for example, Google Drive and Dropbox and send us the link to download the file. Hi, I have the FingerTec TCMS v2.2.027, but I can find a SQL file just .DBF files. May you help me please to explain me how to know what file is my database? For your kind information, TCMSv2 use fox pro database and not use SQL database. So, all the data are from the .DBF files and FPTMP.FPT file only.